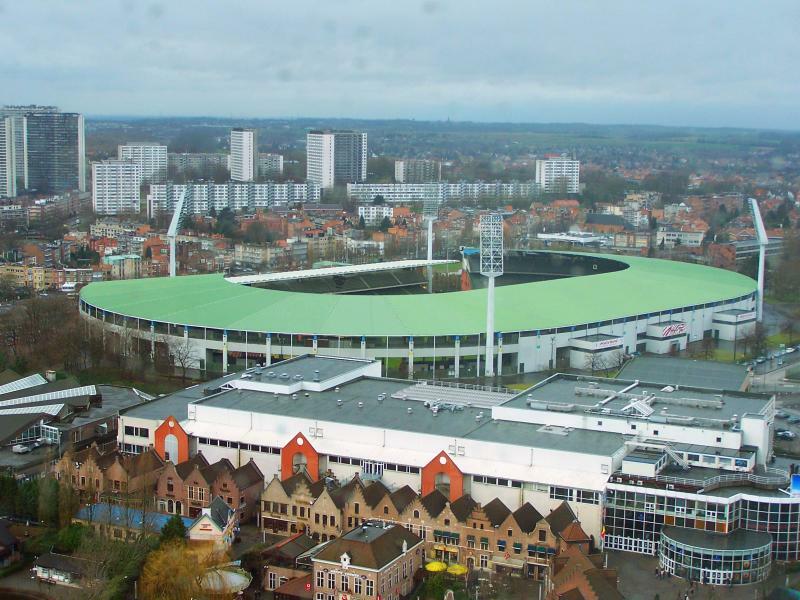 Stade Roi Baudouin (French), Koning Boudewijnstadion in Dutch or King Baudouin Stadium in English, is the largest stadium of Belgium and the stadium where the Belgian national team play most of their home matches. 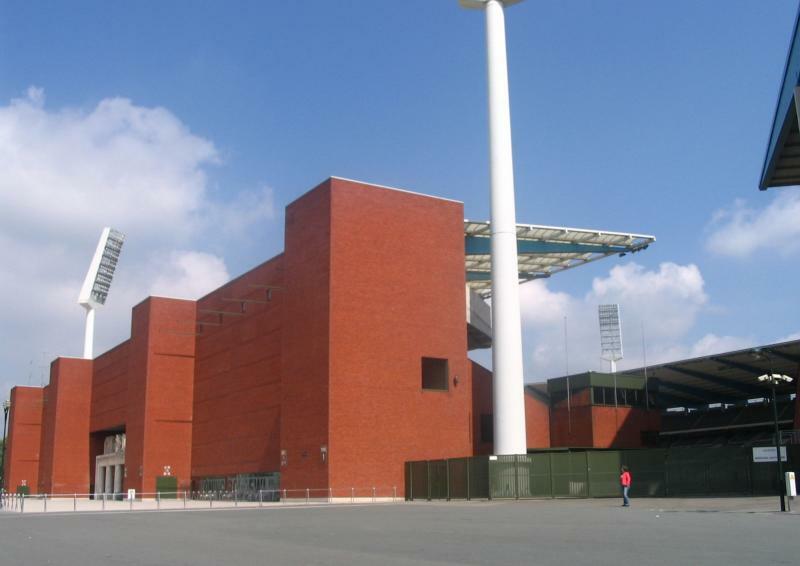 Construction of the Stade Roi Baudouin, then still called Stade du Centenaire, came forth out of a desire of the city of Brussels to have a stadium that could cater for “every sport”. 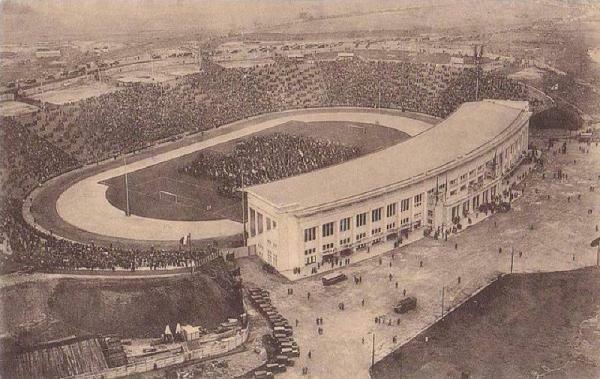 Construction started in 1929 and on 23 August 1930, 100 years after Belgian independence (hence the name Stade du Centenaire), the stadium was officially inaugurated. Three weeks later, on 14 September, and with King Leopold in attendance, a derby between the national teams of Belgium and the Netherlands was the first game played at the stadium. The bowl-shaped stadium could hold over 70,000 spectators at that time. Soon after the Second World War the stadium got renamed Heysel Stadium after the local area and the plateau it was built on. The Heysel Stadium underwent its first major redevelopment in 1974, when a new all-seater covered stand got built. In those years the stadium regularly hosted European Cup finals, however by the mid 1980s the state of the stadium had severely deteriorated, contributing to the Heysel stadium disaster of 1985. That year the final of the European Cup between Juventus and Liverpool was to be contested at the stadium. An hour before the match English fans started rioting, and when a group of Liverpool supporters charged the Juventus fans, the Juventus fans retreated and were pushed towards a side perimeter wall. Trying to escape by climbing over the wall, the wall collapsed, and 39 people died. Even though the match continued to be played, English teams were subsequently banned from European competitions for 5 years. 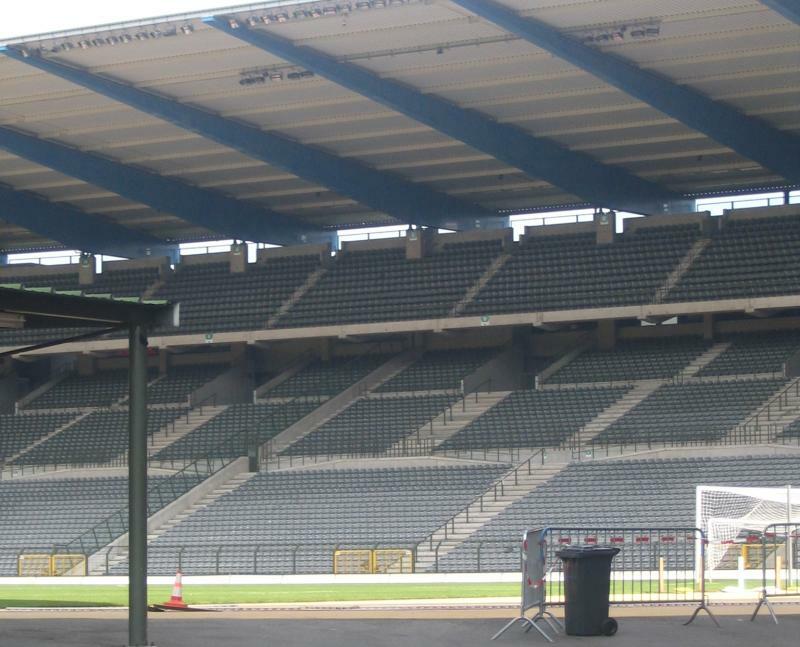 It took a few years though before the city of Brussels finally decided to extensively renovate the stadium. This happened in 1994 and at the same time the stadium was renamed Stade Roi Baudouin – Koning Boudewijnstadion. In 2000, Stade Roi Baudouin hosted the opening match of Euro 2000 along with two more matches in the group stage, a quarter-final, and the semi-final between France and Portugal (2-1). Apart from the disaster final in 1985, three more European Cup finals were played at the stadium: the first in 1958 between Real Madrid and AC Milan (3-2), the second in 1966 between Real Madrid and Partizan Belgrade (2-1), and the third in 1974 between FC Bayern and Atlético Madrid (1-1 and 4-0 in the replay). On top of this the stadium hosted four Cup Winners’ Cup finals: the first in 1964 between Sporting and MTK Hungária, the second in 1976 between Anderlecht and West Ham United, the third in 1980 between Valencia and Arsenal, and the last in 1996 at the newly renovated stadium between Paris Saint-Germain and Rapid Wien. 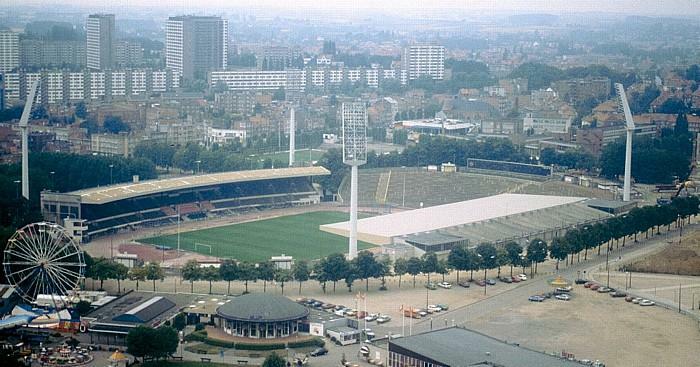 Despite the renovation in the 1990s, Stade Roi Baudouin has significantly aged over time and the city of Brussels therefore started to study the possibility of either redeveloping the current stadium or building a new one. In the end, they chose the latter option in partnership with local side Anderlecht. After a difficult and protracted process, the different parties finally came to an agreement by the end of 2015. Construction of the new Eurostadium was expected to start in the summer of 2016 and to be completed in 2019, in time for the Euro 2020 championships, but new delays have thrown doubt on the realisation of the project. If the Eurostadium gets built, Stade Roi Baudouin is set to be demolished in 2020. 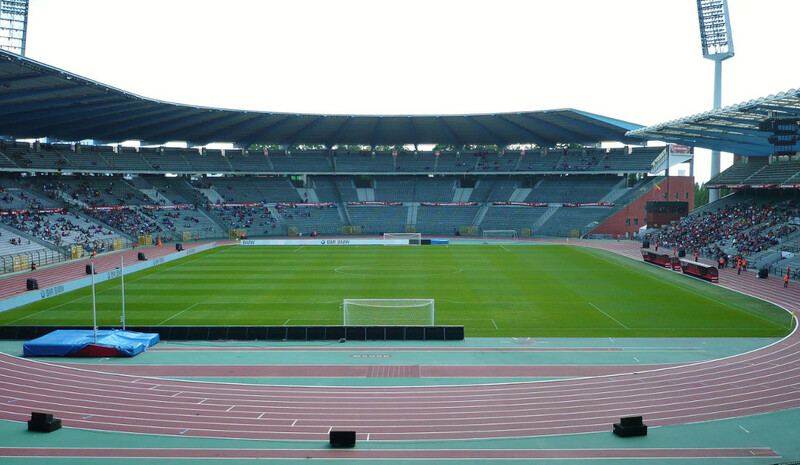 Stade Roi Baudouin – Koning Boudewijnstadion is located in the north of the city of Brussels, about 6 kilometres from Brussels’ city centre. Three metro stations lie within walking distance of the stadium: Heysel, Roi Baudouin, and Houba-Brugmann, of which the first two are the closest. They can be reached with line 6 which circulates the centre of Brussels and also passes railway station Gare du Midi (Zuidstation). 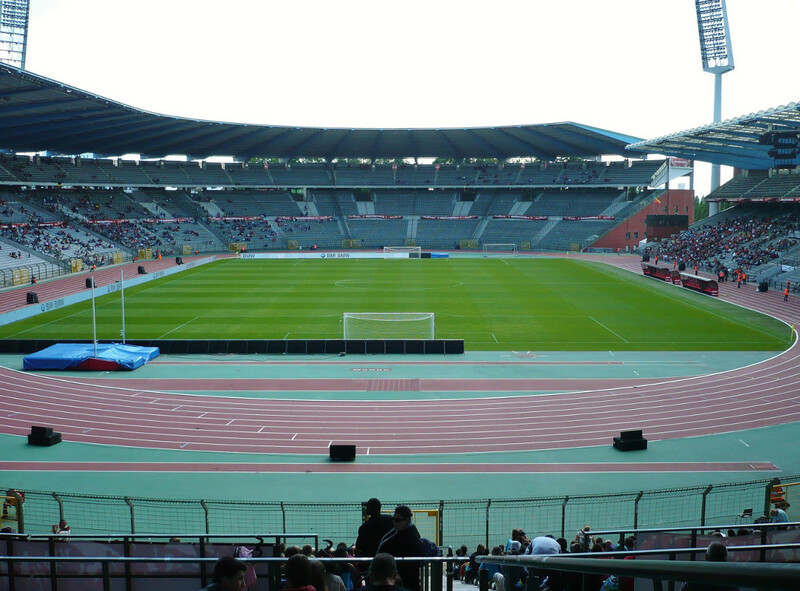 Stade Roi Baudouin can be easily reached by car from the Brussels ring road. Take exit 8 (Wemmel) from the northern part of the ring and drive a few hundred metres south. The stadium will be on your left. Address: Marathonlaan 135/2, 1020 Bruxelles – Brussel. 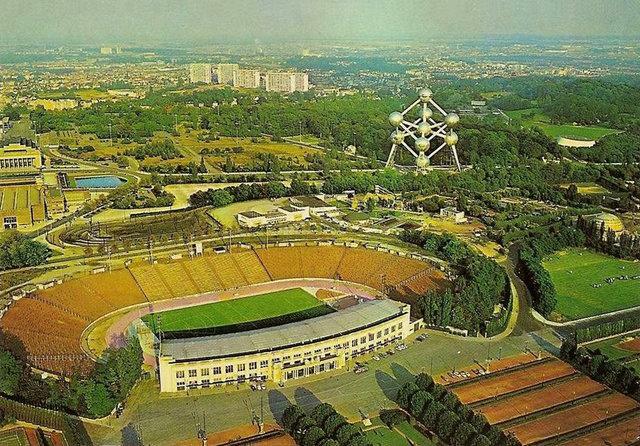 Stade Roi Baudouin is part of a complex that includese the famous Atomium, the Brussels Expo, and is located close to Parc d’Osseghem. There is also a water park located next to the stadium, as well as the Mini-Europe miniature park, though both attractions are arguably more for children. This does, however, mean that there are quite a few eating and drinking options in the immediate surroundings of the stadium. The rest of the area is mainly residential, but it being Belgium, this means that there is always a bar or restaurant near. There are also a few hotels close to the stadium. Alliance Hotel Brussels Expo and Best Western Hotel Expo are both a very short walk away. Hotel Le Centenaire is another option, whereas the Ibis Expo Atomium and Hotel Auberge are conveniently located if you arrive by car. Click here for all hotels near Stade Roi Baudouin. There is somewhat more variety of hotels in Brussels’ city centre, which is not far away by metro. Stade Roi Baudouin offers two options for stadium tours: a self-guided tour following a route through the stadium, or a group tour with a guide. The self-guided tour is available Monday to Friday between 10:00 am and 5:00 pm. Guided tours are available on request. The self-guided tour costs €6.00. Bookings are required (for both tours) and can be made online. For more information call +32 (0) 2 474 39 46 or email parcours@prosportevent.be. Prosporevent.be – Event manager of the Stade Roi Baudouin – Koning Boudewijnstadion. Visitbrussels.be – Official website of the tourism bureau of Brussels. STIB.be – Timetables, network maps and journey planner for Brussels public transport.